If you are traveling overseas on business, you need reliable, available, and secure communications. When you connect to the Internet from your office, you know who is responsible for the network and which people can connect to it. However, when you travel, especially abroad, you are no longer guaranteed that same level of security. Imagine that you have scheduled an important video call with a client and your hotel doesn’t have a secure connection. Or, you need to send a confidential report and the closest location with Wi-Fi is in a local café that offers an unsecured connection, along with a cup of coffee. Potentially, someone sitting next to you can capture the data that you send from your device. Luckily, business travelers have alternatives. We suggest traveling with your own Pocket Wi-Fi Hotspot, installing a Global SIM card in your smart phone and downloading a Wi-Fi Calling App. They don’t take much space in your luggage, all are cost-effective, and all will go a long way towards providing you a safe and secure Wi-Fi connection – and peace of mind. 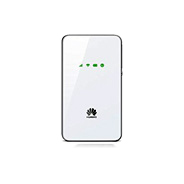 With a Global Pocket Wi-Fi Hotspot you can access the Internet – from emails to data streaming – all on your own secure network. Lightweight and portable, it beats having to pay for Wi-Fi in airports or anywhere else you may find yourself (e.g., on a train). And, you won’t have any worries about exposing company confidential data, files, or credit cards, on an unsecured public network. 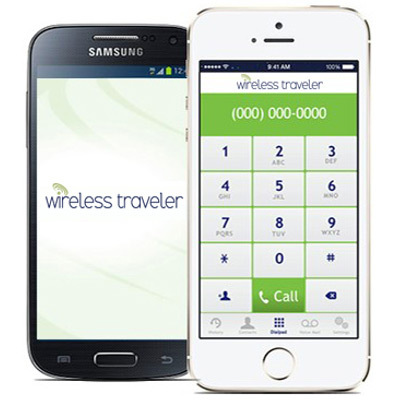 Having to make and receive phone calls while traveling is essential for business travelers. Calls can’t be avoided but excessive roaming charges can. 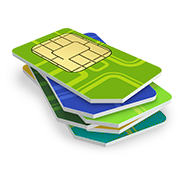 Global SIM cards are cost effective, typically don’t require a contract, and can be used in most every country worldwide. 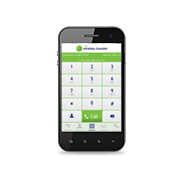 With a Wi-Fi Calling App, you can easily and inexpensively stay in touch all over the world. Download the app for free. Once you have set up an account, you can make calls for as little as two cents/minute. If you are traveling with others, install the app on everyone’s phone, and you can call each other for free app to app.